Shelley’s New Book. Get it on Amazon NOW. Make Your Business Process Improvement Project Simple, Structured, and Successful! 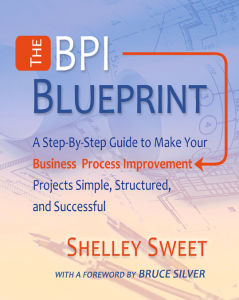 The BPI Blueprint (my new book due out in mid February)!) provides you with a detailed plan of action to create results the first time, inspire leaders of business processes, and build invigorated skilled teams. So if you’re looking for a simple, no nonsense, guide to help you develop and manage effective Business Process Improvement projects, regardless of your experience-level, you’ve got the right book. T his practical guide tells you exactly what’s required at each phase, such as: Chartering and Staffing, Process Discovery, Process Analysis, Process Design, and Implementation Plan. Plus, modeling, analytical and redesign tools and techniques are explained so you can replicate them. And client examples provide guideposts; demonstrating what works, what doesn’t, and why. All of this enables you to keep your BPI Projects simple, structured and successful. The methodology for The BPI Blueprint is based on Action Learning, which calls out for the best type of action – learning and working on your real project with opportunities for feedback and discovery. Done right, BPI projects engage the minds and hearts of leaders and teams, which can lead to amazing outcomes and fun! So let The BPI Blueprint guide you to great results! The BPI Blueprint is now available on Amazon.They’ve discounted the price. Buy it there now. 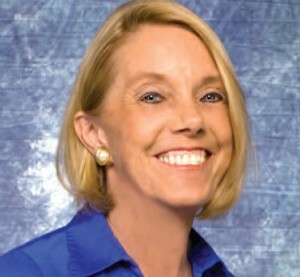 What Else is Shelley Sweet Doing? Interview with APQC on Why Process Improvements Evaporate. See the white paper with the same name on the Publications page.